Maybe you just got back from a trip or your son returned home from college with some used furniture and you're worried that bed bugs may have also hitched a ride. This isn't an unreasonable fear; bed bug infestations are on the rise across the country. But, it can be hard to tell if they have invaded your home. Here are Triangle Pest Control, we offer premier bed bug services in Charlotte, NC. But before you do anything, here are five signs of a bed bug infestation. Waking up with itchy red marks is the first sign you might have a bed bug problem. Bed bugs are parasites that feed on a human host. Because bed bugs typically feed at night, you will often wake up with the bed bug calling card: a red welt on your skin. The mark looks similar to a mosquito or a flea bite. The area around the bite mark might appear swollen or red and is often itchy. The bites can cause mild to severe allergic reactions as well as secondary skin infections, mental distress and, in rare instances, anaphylactic shock. The second sign of a bed bug infestation is actually seeing a bed bug. But, do you know what you are looking for? Adult bed bugs can easily be spotted with the naked eye. Bed bugs are reddish-brown in color and a roughly the size of an apple seed. Younger bed bugs are smaller and whitish in color. Bed bugs often hide in the folds of a mattress, the seams of upholstered furniture or along the cracks of the floorboard. Your best bet in home detection is to first look in these areas for living bed bugs. When you are searching for living bed bugs, you might come across the cast skin of bed bugs. A bed bug sheds its exoskeleton as it grows. As a bed bug matures, it will go through five stages before it is an adult. This single bed bug will molt five times. The exoskeletons look very similar to a bed bug, but are translucent in color. The exoskeletons can be found where living bed bugs hide, in the cracks and crevices of furniture and bedding. 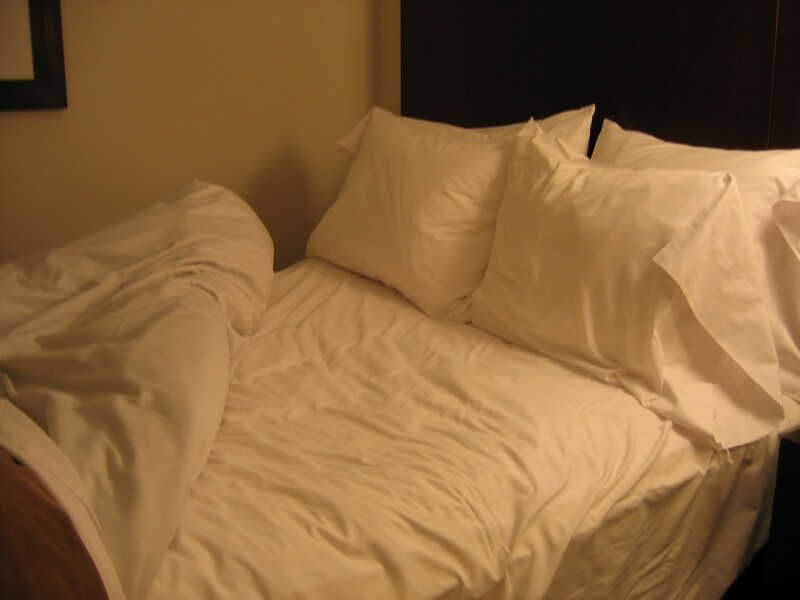 Bed bugs release a musty odor because they produce chemicals to help them communicate. Some have described the odor as a pungent, or smelling like rotten meat, but others have also said it smells sweet. Professional bed bug control technicians use dogs specifically trained to detect the order bed bugs produced. Working with a technician, a bed bug sniffing dog is 300 times more likely to locate all areas of infestation. When considering a bed bug exterminator, look for a company that uses canine detection. Excellent service, quick response to request, professional technician! Have used them before and will use them again!